The national selectors are well aware of Will Pucovski, Jason Sangha, and Kurtis Patterson’s batting ability, which is why they’ll all be on duty for the Cricket Australia XI at Hobart over the next three days. The game will be the Sri Lankans’ only warm-up for the two-Test series at The Gabba and Manuka. Pucovski (20), the bolter in the Australian Test squad, first came to notice with an unbeaten 207 for the Vics under 23 side against West Australia’s under 23s. That earned him his first of only eight Sheffield Shield games where’s he’s already cracked 243 against the West, 188 against Queensland and 67 in the return clash with the West. The cynics are saying those three digs make a huge hole in his career 588 at 49, so consistency isn’t his forte. When Pucovski gets a start he goes on with it, and while he’s at it, he remains a patient stroke-maker – not a six-hitter. Sangha (19) is the same. He first came to attention when NSW signed him up in 2017 while he was still at school. When he became the second youngest to Sachin Tendulkar to score a first-class century against England at Townsville, Sangha was on the way in a hurry. Sangha was 18 years and 71 days when he scored 133 off 226 that day, compared to Tendulkar’s unbeaten 119 at Old Trafford in 1990, when he was 17 years and 107 days. 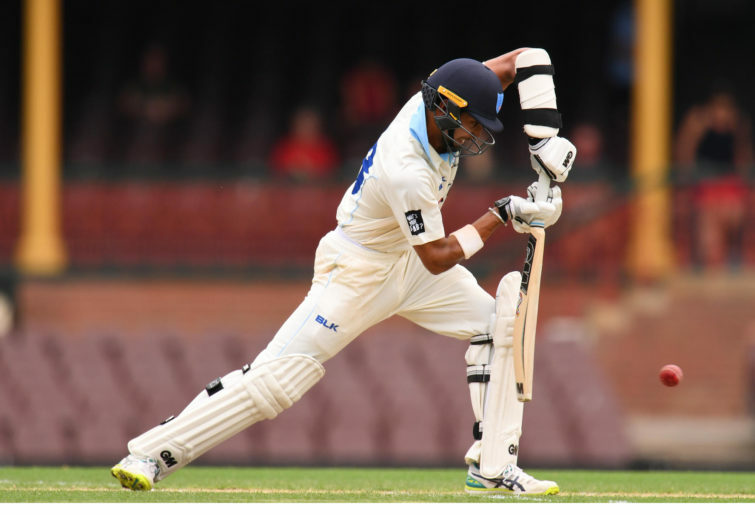 Since then Sangha has scored 117 off 161 for NSW against Tasmania as a permanent fixture in the Shield side. Patterson (25), burst onto the first-class scene in 2011 with 157 off 187 on debut for NSW against the West in 2011, when he was 18 years and 206 days old. Then came the drought, but recovery to career figures of 3813 at 41. This Shield season Patterson has been back to his best with 428 at 47.55. So Will Pucovski, Jason Sangha, and Kurtis Patterson have a lot to offer, but as they well know, firing when given the representative chance is the only alternative.